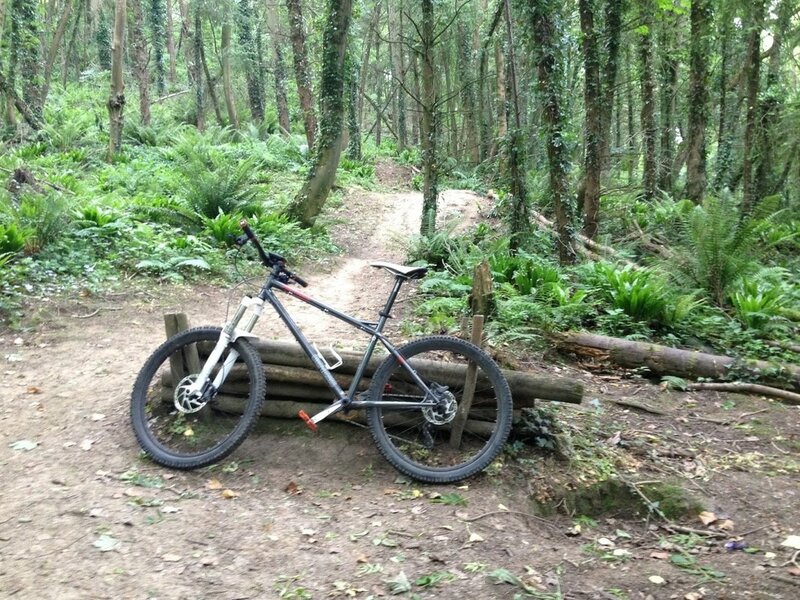 Looking for somewhere to ride your mountain bike? Here is a few places across Somerset, Dorset and beyond, more will be added so keep checking back here. ​This is where we ride the most. There are trails and paths all over the place, virtually all of it can be ridden steadily or flat out, with no jumping required. With some knowledge, you can stay off road for miles, pop in for a coffee introduce yourself and you could tag along the next time that we head out. Some of the trails can be, let's say, a little slippery yet sticky in the wet though. A great little set of woods, forestry commission open access site, a number of trails, jumps and more natural tracks, not so good in the wet. This forest used to have some crazy northshore, ​this hidden section pictured below has now been taken down by the commision . It was by the dirt jumps at the top of the forest. 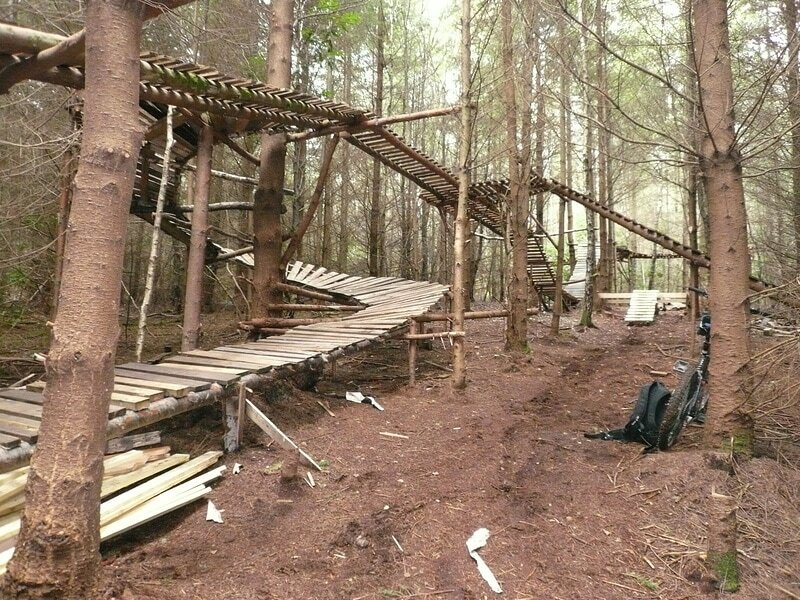 Still plenty to ride down there for all skill levels and new stuff being built by the keen locals, the forest is open access forestry commission, the trails fair ok in the wet.